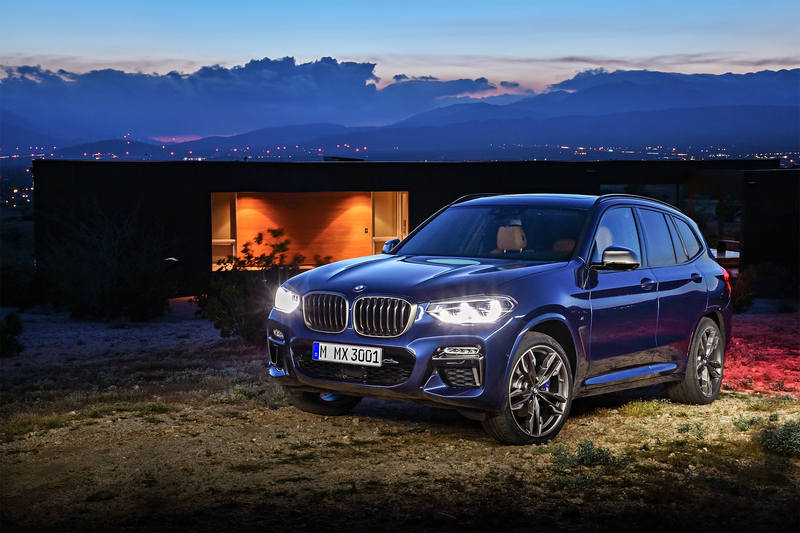 A week before the official launch of the all-new third-generation of the BMW X3, which took place yesterday, excitement was already building for the reveal by the German auto giant, and it got a further boost over the weekend with leaks of details and unofficial images. The X3, unveiled at the BMW plan in Spartanburg, South Carolina, USA, where it will be produced, is a compact crossover and fierce rival of the Audi Q5, which has been around now since 2003. The current second-generation has been in production since late 2010, and its replacement uses much of the same design language. On the whole, the cosmetic changes represent much more of an evolution than anything close to a revolution. The whole vehicle is a little more rounded as BMW continues to tone down the angles that were so prevalent in its design philosophy a few years ago. There are new hexagonal lights and a bigger, more muscular “three-dimensional” kidney grille, but the exterior changes could pass for a mid-cycle rather refresh than a full-blown new generation. It’s a different story underneath though, as the 2018 is built on a completely new platform this time around. The platform is a lightweight, rear-wheel drive affair to deliver improvements in fuel-efficiency, handling and performance over the current model. It is the same platform that underpins the new 5 Series sedan, and it’s also expected to be the starting point for a new 3 Series in 2018. The new X3 range will include three petrol and two diesel engine variants, and models listed for the US include the flagship BMW X3 M40i and the xDrive30i. The interior has also been enhanced for an ergonomic feel while drivers will also be able to benefit from a refined system connecting them to their car and their smartphone, with gesture and voice control for BMW’s ConnectedDrive. Three lines will be available: xLine, Luxury Line and M Sport. Set to roll out this November, the prices of the 2018 BMW X3 range will be announced closer to that date.